A Sports Therapist providing a wide variety of treatments to improve, maintain and physically rehabilitate you back to your pre-injury state. Recognised for her versatility and strict approach in rehabilitating injuries in different sports and positions, she guarantees rapid recovery. Steph will not just focus on a single problem area, instead she maintains to recognise, correct, treat and educate you on weaknesses and malfunctions you may have to make you the strongest mentally and physically to excel your recovery. Steph is well respected in her field, currently working at West Ham United Football Club and Southend Rugby Club. She has taken her work abroad and all over the UK, you can guarantee if you have an injury, or need a good massage to work out a tense area that Steph will excel beyond your expected results. 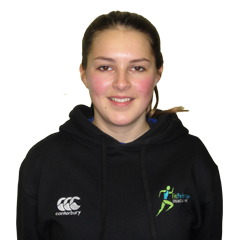 Hannah is a Sports Therapist who graduated from London Metropolitan University in 2011 and currently works at Southend Rugby club. She offers treatment and rehabilitation to a wide variety of sports injuries and aims to restore clients to their pre injury state in the quickest and safest possible way. Even if it is just tense muscle you need working on to help you better yourself in your chosen sport, then Hannah provides sports massage to help you. 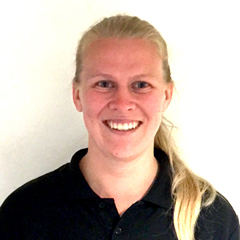 Lucy Thomas is a Sports Therapist that graduated from the University of East London in 2016 and has since been working for Thurrock Rugby Club and the Essex Saracens Development Player Pathways. 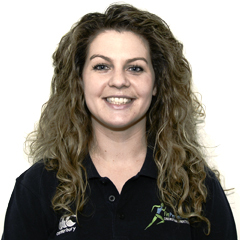 Lucy can work with you to help prevent injuries as well as help you manage and treat injuries, should they occur. She aims to help rehabilitate you to your pre-injury state as safely and as quickly as possible. To do this she uses a variety of modalities including electrotherapy, exercise therapy, manual therapy as well as educating you on the next steps to manage your injury. Lucy can also provide sports massage to relieve any tension in your muscles or to help maintain your optimal performance.